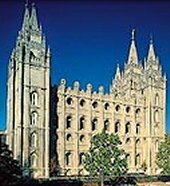 Salt Lake Tourist and Visitor Center | Picture Tour of Salt Lake City | 2019 Trip Planner. It's and we would like to welcome you to the Salt Lake Tourist & Visitor Centers official online edition. Please be advised that loading these pictures may take a minute, so please be patient. This page is sponsored by City Sights Bus Tours of Salt Lake City! 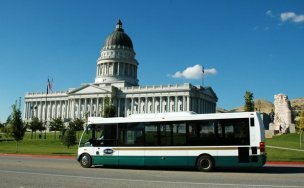 City Sights offers complete daily bus tours of Salt Lake City and their information is listed below. Learn the history from local experts and discover the many hidden gems only their tour can show you! 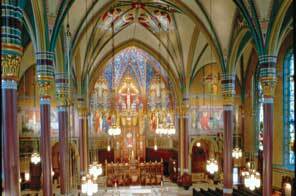 Tour the State Capitol Building - voted America's 2nd most beautiful state capitol building, Visit the Old Mormon Trail & Deseret Pioneer Village, Hear the most famous organ in the world at a live recital in historic Mormon Tabernacle - 11,623 pipes! Enjoy a meal in the pioneer home of Utah's first governor, Brigham Young's Lion House - built in 1856. 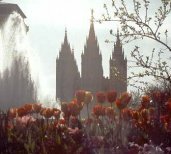 Explore the gardens and fountains of Temple Square, the #1 Visitor Attraction in Utah. See historic Fort Douglas, 100 year-old mansions and churches, the oldest state university in the West, the Pony Express Monument, 2002 Winter Olympic sights, and many more. $ 35.00 for the Lake Tour...to see the shores of the Great Salt Lake, "America's Dead Sea". At the Lake we will catch you a live "Sea-Monkey" that you can take home. The saltwater and sea monkey are free! Call from 7:00 am to 7:00 pm for information and reservations.